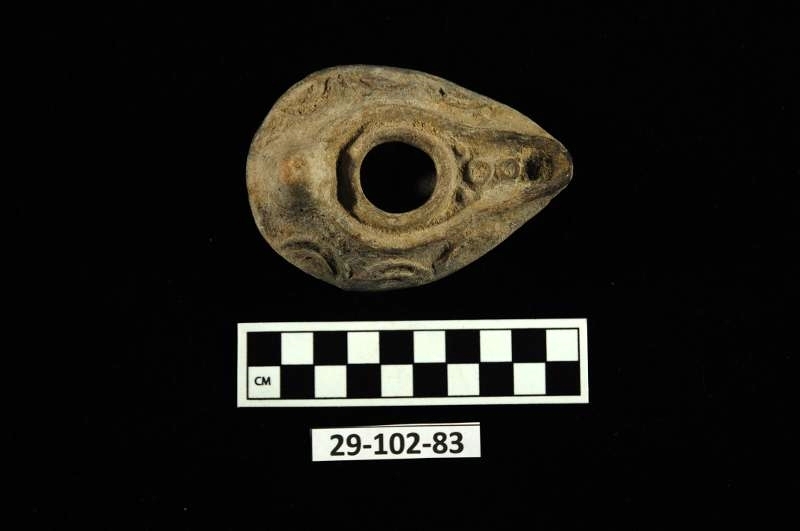 The University of Pennsylvania excavators found over four hundred and fifty clay lamps in their excavation, many of which showed black soot-marks from use. Lamps were a common means of lighting in the Byzantine world, as Geoffrey Shamos writes, being cheap to manufacture and decorate in bulk. Only five of the collection are shown above; the large museum collections awaits adequate cataloguing and photographic recording. 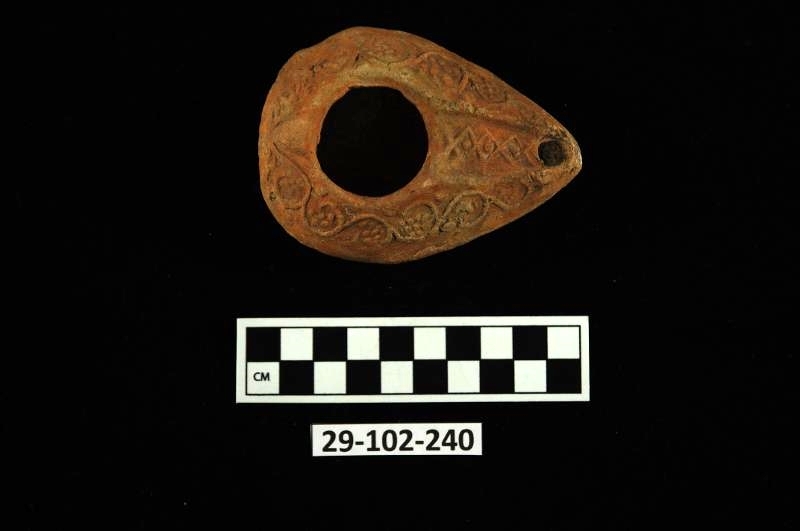 Provenience: from the excavations of the LTN and LTW. Lamps were also found in debris, as well as in cisterns.